I've been to so many cookery classes and demonstrations over the years, from courses at Leiths School to one-on-one classes at the teacher's home. But I've never been taught in my own kitchen and this is one of the services Indian Tadka offer. I thought it may be a little odd but owner Kirthi Mundada was so sweet and friendly, that she instantly made me feel right at er, home. We started the lesson with a spice tasting. Some were from her masala dabba, the steel tin with a number of smaller pots inside, kept close for everyday cooking. Things like mango powder, turmeric, salt, coriander and cumin seeds. Then a wide range of spices from Kirthi's next set of most used spices (and she has a further two sets!) with some more unusual spices like asafoetida, khus khus and even some Indian salt varieties I hadn't come across. We tasted them both raw and some cooked and I think I gained a much better understanding of the spices. I used to be quite proud of my collection but this made me realise I only own the tip of the iceberg! It was also fascinating to discover their healing properties too although some of my Indian friends have already forced me to eat raw fenugreek seeds and turmeric drinks in the past (they work!). Although you can choose to learn many things, my favourite on the day was making dosa, something I adore to order in restaurants and now know how to make! 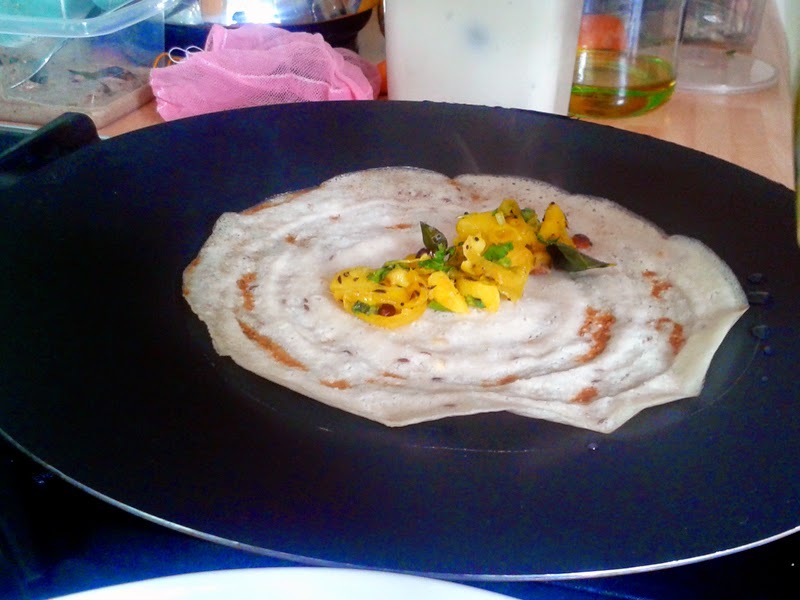 Tips like adding oil to the edge during cooking to really crisp them up and how to make the dosa so paper thin was really useful. And they are so easy too, I had no problem making them for dinner later that evening on my own. Kirthi brought the batter but the recipe booklet (which included all the food cooked on the day) she left me seems very simple to follow. We filled them with a fragrant potato curry and dipped them in peanut and tamarind chutney. I was so impressed with these, and the complete dish was as good as restaurant level. Without doubt I'll be giving these a whirl from scratch and perfecting the thinness. Tadka means tempering and is an incredibly important element of Indian cooking. (Hence the inspiration for the company name.) This tempering is nothing to do with chocolate (as we may know it), but heating spices in hot oil to wholly extract their flavour and aroma. 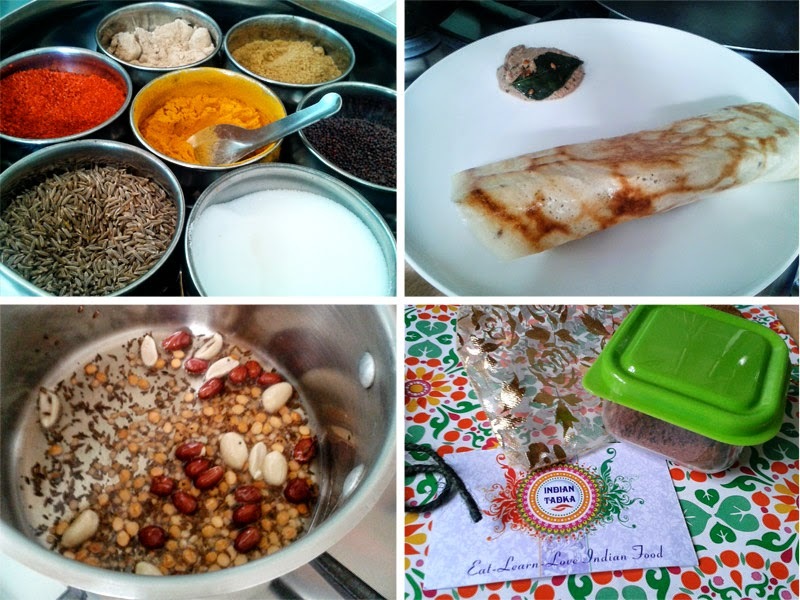 This can be done at the beginning or end of a dish and Kirthi showed examples of both in her dishes. The peanut and tamarind chutney for the dosa had used a tadka poured over the top to finish the dish and the rice dish we cooked began by tempering the spices. The simple sounding "Lemon Rice" dish is a little misleading as it contains two different dals, a number of spices and peanuts, all fried in oil so they are aromatic and crunchy. 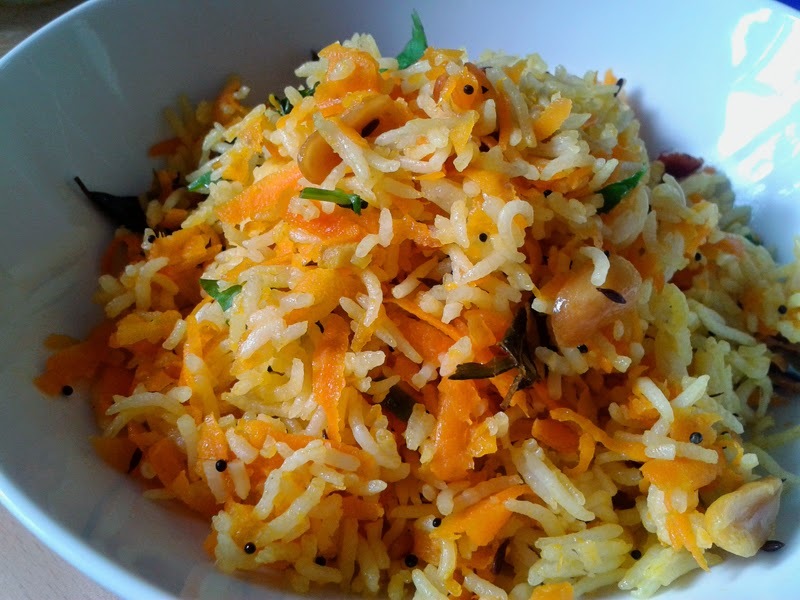 The sweetness of grated carrots and sourness of lemon as well as heat from fresh chilli all added dimension to a humble rice dish. As a mid-week quick meal, this would be pretty special and so good to try everyday Indian food. Most Indian recipes I normally go for are quite involved so I keep it to weekends, but simplicity with so much flavour like this dish is a great combination for time-poor people. 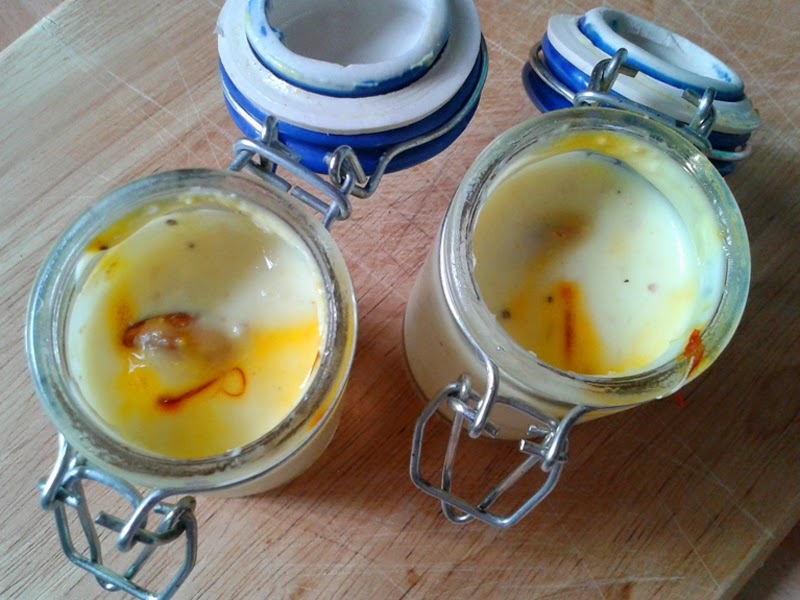 Kirthihad also made up a gorgeous shrikhand yogurt dessert, infused with saffron, cardamom, honey and nuts to finish off our wonderful meal. I'm not really a fan of Indian sweets so this was a great alternative. Not only was I left with a better understanding of Indian food, and more confidence in cooking it, Kirthi also left a pot of her mum's garam masala mix, containing no less that 56 spices. A really lovely touch I thought. 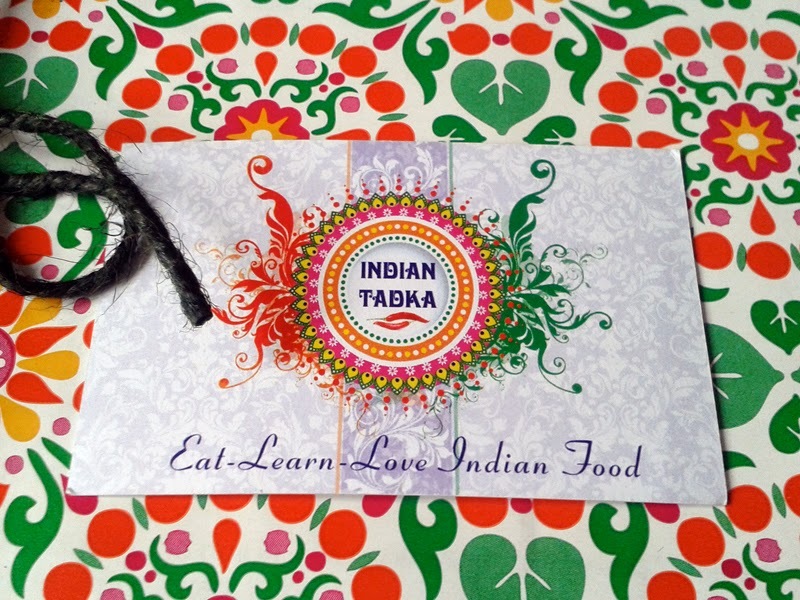 Although Indian Tadka is a relatively new Brighton business, you can tell this is the sort of knowledge someone has amassed over the years with a heritage rich in food culture. 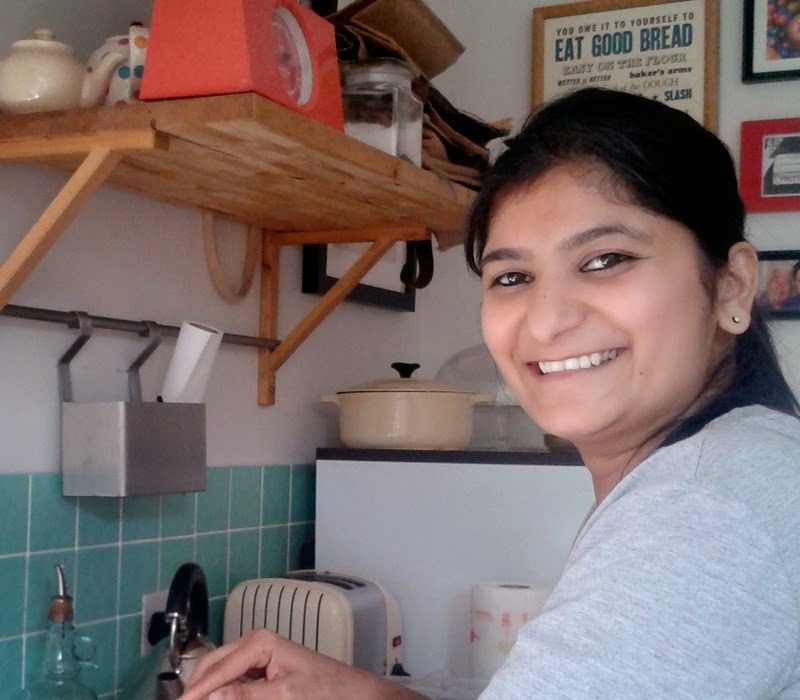 Kirthi's stories of growing up with the food she is so clearly passionate about is something I could really relate to with my own childhood. Indian Tarka also offer catering for events and parties you can even have Kirthi as a personal chef for a dinner party or a special occasion for two of you. After sampling even a small selection of her food I would have no issue recommending her for that. Cookery lessons range from £30 - £80 per person depending on how many dishes you choose to learn and how many people in the class. Learning to cook unfamiliar dishes makes for a really enjoyable afternoon, either as a one-to-one of a group of you. All you have to do is supply a list of ingredients and you are good to go.